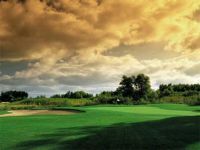 This 18-hole, par 71 course has 3 sets of tees ranging from 4805 to 6306 in yardage and offers gently rolling hills and natural reclaimed Minnesota wetlands to challenge all levels of golfers. 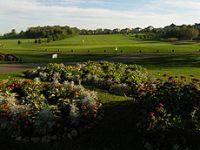 Crystal Lake’s banquet room has large windows offering picturesque views of the 16th and 18th greens of the golf course. 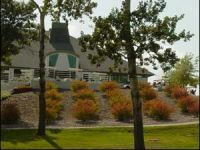 A floral landscaped patio lays just beyond the banquet room.